To increase the business growth, the companies are telecasting lot of Tv commercials which push the children to eat fast food, sugar soft drinks, candy and junk food with no calories. Not only your children are eating these junk foods but also their friends too. So, the children health issues are not limited to a single family but it relates to the whole world. 1) The first ever step which the parents should take is to involve the children in planning the food menu for them. Know from them what they like in fruits and vegetables and try to include that in their meal and also in snacks as well. Try to keep them away from packaged food with lots of additives and replace them with low-fat, low-sugar items like a box of oatmeal or rice. 3) Another way to keep them away from unhealthy food is to involve them in searching for recipes of healthy foods in cookbooks and on the internet. Ask your children what food they like best and try to find the recipes that include their favourites. 4) Take your children along with you for shopping. 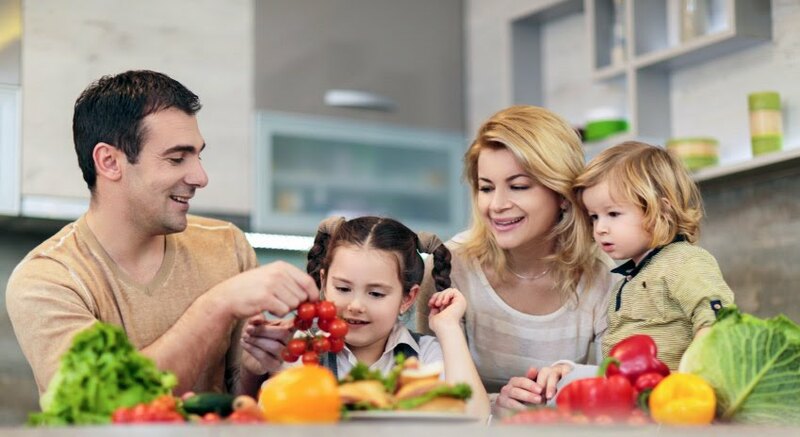 While going to shop, try to tell your children again and again that the best food to make them strong and healthy is available at the shop where they are going now. Also, mention the names of healthy food products in discussion with them and let them pick those items from the store. 5) Let your children in setting up the dining table and try to involve them in cleaning it as well. By doing this, they will be more involve in eating regular food items during the meal time. 6) You should help your kids in identifying the healthy foods. Offer them the variety of healthy food items which they have never tasted before. e.g. if they have never eaten an apple, mango, guava, etc, offer them those and see how they respond. Make them understand the health benefits of healthy fruits in a play way manner. 7) Discuss with them the health topics such as nutrition and tell them its importance for the healthy mind and body. Get the crayons and paper, or coloured pencils and colour together. Ask you children to draw the pictures of vegetables and fruits.